Awesome is about to get awesomer! 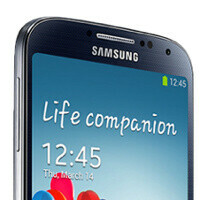 There's a new software update about to land on the Samsung Galaxy S4 bringing both minor and major improvements. Among them is the much-requested option to move apps to a microSD card so that users can have more storage space available on the smartphone's internal memory. The purplish smearing issues, which we reported about not long ago, have been addressed as well in the new software, and the overall legibility of the screen has been increased. I just hope one day, haters will be more like critics. Cmon if you hate samsung for being samsung then don't pull down the company to shame, just share your thoughts or points on a right manner. Coz there are words better left unsaid. Of course, Apple, HTC and other manufacturers also deserves this kind of respect. PEACE! sometimes we need haters... but not all of the time. "Awesome is about to get awesomer!" Jeez PA, biased much? Nothing against the GS4, but it ain't the only awesome phone out there. People used to call this iPhoneArena, but if you look at all the praise they heap on the GS4, complete with in-depth reviews of CASES, you'd think Samsung was the only manufacturer worth mentioning. Although of late Nokia cameras are a close second. Well does the community think it is awesome? Yes, 9,5/10 rating just here. And it is now awesomer no? Yes, cause the HDR video option was strangely missing and the purple effect was unexpected. Additionally apps on SD is a great relief. Awesome just got awesomer. I have nothing against the GS4. In fact, I've recommended it to friends and colleagues. I'm just sensitive to hyperbole and overexposure, which I feel has now reached iPhone levels around here. Doesn't that go against Google's wishes? How soon before TouchWiz is an Android fork? This why people now a days blindly buy samsung because if there is any problem in device samsung will come with solution to make awsomeee!!! I lovee sammy ..mwhaaa !! I am a Note 2 user and yes Samsung is just great. They adhere to the needs of their users. The best is yet to come. Peace everyone! I hope they add the option to "open new windows in background" in the stock browser, remove shutter lag when on 13MP. Also, the option to "not show again" the notification when turning the volume up while on headset. One more thing, allow lockscreen widgets when passcode is enabled. Sory for asking, but what's so awesome with moving installed apps to sd card? My last phone Gingerbread had it, ICS has it too (I believe Ace 2 Gingerbread has it too). Don't tell me S4's Android got it just now?! Its a superb feature for samsung to bring back, hopefully my note 10.1 will get this also soon. Many games these days are huge in size so app 2 sd is greatly appreciated! You mean JB doesn't let you move apps to SD card?! yep sadly google removed that feature in jb once they stopped supporting removable sd card..surprised Samsung decided to implement it themselves only now and not when the s3 came.. looks like oems will make changes if enough people make a noise. It was a logical move as HW and NAND Flash bandwidth became so fast over the years that heavy apps operating from SD card bottleneck performance. When will 4.2.2 arrive for muy SGS3. Please Samsung pleaseeeeee. So how about 60FPS 1080p recording?